At the end of the Cold War, during the 1990’s UNESCO, the United Nations Educational, Scientific and Cultural Organization, embarked on an ambitious project called “the culture of peace.” It was conceived as a radical change in the very nature of human civilization, as a transition from the culture of war that has characterized most societies for thousands of years, to a new and universal culture free from the scourge of war. . . Unfortunately, for many years after a change in leadership at UNESCO, there was little support for the culture of peace. In fact, there was opposition. Exceptionally, however, the Africa Department of UNESCO has recently again taken up the challenge. With UNESCO support, Angola hosts an annual conference for the culture of peace, formally endorsed by the African Union, and networks of African women, youth and research institutions for a culture of peace have been established.
. . . the Culture of Peace News Network (CPNN: www.cpnn-world.org) [tells] what is happening around the world to promote a culture of peace. The more people read and discuss these articles, the more they will see that a culture of peace is not only possible, but the seeds for it are being planted every day and around the world. . .
Africa is the leading continent of the world for peace education and media for peace. Almost every month we have new articles in CPNN about initiatives in this regard. . .
Consciousness is important. In fact, in the long run it is the basis for historical change. However, it is not enough. We need to develop methodologies and institutions that can replace those of the culture of war.
. . . In this regard, Africa has already shown its leadership in recent years with the Truth and Reconciliation Commission in South Africa and the Gacaca in Rwanda, enabling Africans to overcome bitter conflicts and enter a path of reconciliation. These processes have been based on the ancient, pre-colonial practices of conflict transformation, often known as the Palabra, the word, as well as the African tradition of Ubuntu, “I am because you are.” . .
. . . During the transition period in South Africa following Nelson Mandela’s release from prison, as part of the National Peace Accord, a broad set of regional and local peace committees were established that united representatives from political organizations, trade unions, business, churches, police and security forces to resolve disputes at local and regional levels. The work of the regional and local peace committees was at the heart of the Accord. It directly engaged people in conflict management on a grass roots level throughout the country. At their peak, there were 11 regional committees and over one hundred local peace committees, with an annual budget of almost $12 million which enabled the hiring of full time staff for regional offices. Unfortunately, the system of regional and local peace committees was not continued on an independent basis once elections took place and a government of national reconciliation was installed. . . Elsewhere in the world, there have also been attempts to establish regional and local peace committees. . . The world has not yet arrived at the point of establishing regional networks of culture of peace institutions in cities, towns and regions. There simply are not yet enough such institutions. But if a culture of peace is to succeed in replacing the culture of war, this next step will be essential. I hope that as a result of this article, I will make contact with Africans who are developing local peace commissions in Africa, and that Africa can take a leading role with a regional network of such commissions. 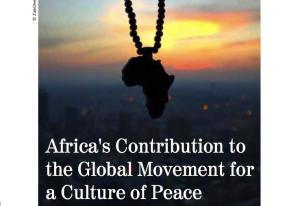 We have seen here that Africa has already made major contributions to the key elements of the global movement for a culture of peace that are needed to make the transition from the culture of war. Africa is the leading continent of the world for peace education and media for peace, contributing to the consciousness that a culture of peace is possible. 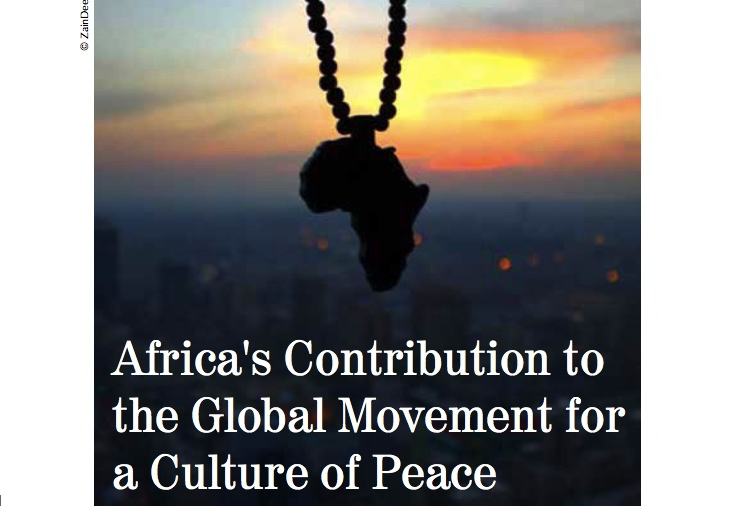 African methodologies for conflict resolution are exemplary. And, although they were not continued, the regional and local peace committees of the National Peace Accord in South Africa provided a model for the institutionalization of culture of peace that we need in the future.